Indiana Governor Mike Pence has agreed to be Donald Trump's vice presidential candidate, ABC News reports. In addition to Pence, Trump's shortlist included former House Speaker Newt Gingrich of Georgia and New Jersey Gov. Chris Christie, according to people familiar with the candidate's thinking. Pence is a staunch conservative, and with six terms in Congress his selection would likely ease GOP leaders' concerns about Trump's political inexperience and volatile temperament. Pence has influential allies in Trump's inner circle. But some of Trump's children, who have been closely advising their father, are said to favor different candidates. The top contenders have been vetted by a top Washington lawyer and all have spent time with Trump in recent days. But the final decision rests with the candidate, who is known for making decisions more on instinct than other factors - and for sometimes changing his mind. Trump was in California Thursday for several fundraisers. His schedule put him at a distance from many of his closest advisers, including Manafort and his three oldest children. Pence spent the day in Indianapolis. He exited a morning speaking event without taking questions from reporters and his staff provided no details about his schedule the rest of the day. The paperwork has been drawn up for him to take that step, according to a Republican, who insisted on anonymity because that person was not authorized to publicly discuss the plans. However, those documents have not been filed. Pence, 57, has deep ties to evangelical Christians and other conservatives, particularly after signing a law last year that critics said would have allowed businesses to deny service to gay people for religious reasons. But the move alienated some moderates in the party. 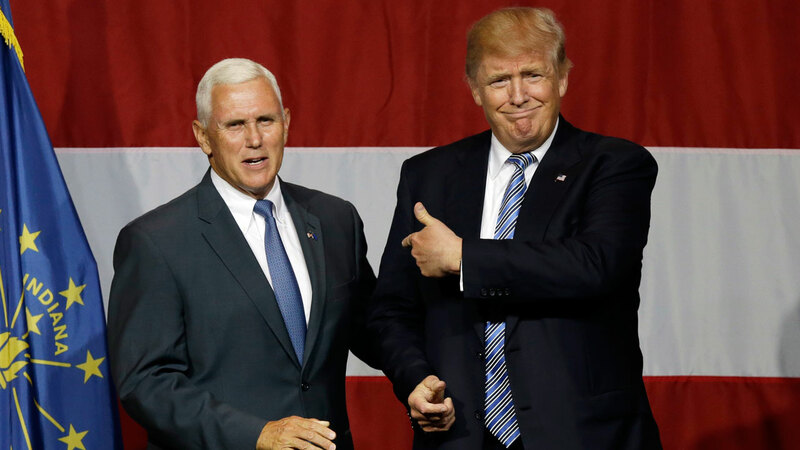 Trump took notice of Pence during the Indiana primary, noting that the governor had high praise for him despite endorsing one of his rivals.